I’ve heard the wooden framework was still medieval. And the art inside of it certainly was medieval. Regarding to the records, Notre Dame was almost rebuilt from scratch at least once. That was in the time of Napoleon. What sources are saying it was badly maintained? Just read up about the restauration. It was due to the fact that the statues were literally crumbling from the walls. There were areas around Notre Dame that were blocked off, because of Gargoyles and other decorations falling down. They already had a small “graveyard” with stones they were hoping to restore to their former state. That’s so sad! But I get that it’s very expensive to maintain. I may have poorly phrased it, but it’s more about how badly in need of repairs it has been for years with people kinda dragging their feet on funding it. If things had been kept up with better at an earlier point, they wouldn’t likely be as dire at this point. Last bit is just my opinion from working in maintenance (granted, that was industrial and I’m sure there’s quite a difference). Yes, but I’m not sure how that matters here – since it probably was because of construction that it caught fire. Obviously it matters that they were not maintaining it, or they wouldn’t have needed to perform risky construction. Yeah, I’m sorry, I’m really emotional so my brain is not working well. CNN hasn’t mentioned anything about risky construction. Where did you get this info? Well, I was presuming the construction was risky if that’s what caused the fire as you said was a possibility. Well, mistakes are easily made by construction workers. Like faulty machines. That’s always a risk during construction. Well, it was risky in terms of flammable materials being stored in the roof area, but the construction itself was not risky, but necessary restauration. 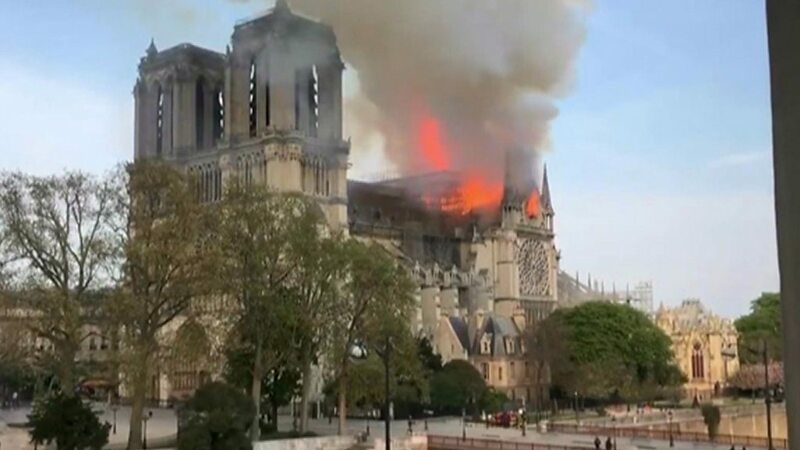 It was basically the effort to stabilize the facade and the statues on top, because they had become a lethal hazard in the state befor the fire.